India is a hub of TB infection and is the home of maximum TB patients in the world as per WHO Statistics. How to curb menace of TB virus infection from India; is a question that perplexes not only medical professionals but also social workers all over the country. Is elimination as envisaged through the development goals by the year 2025 possible? Elimination means reduction of cases of incidence to a single per million of population. Mainly the developing countries, numbering twenty two are high burden countries for menace called TB. India is also among the thirty highest infected country of MDR (Drug resistant) TB. Poor economic status, dependence on faith healers, illiteracy, community barriers, lack of concentrated civil society efforts, information health practitioners, low awareness etc. are some of the instant reasons for dealing with TB Control and Care In India. There is TB Consortium, TB association, TB control etc. in India. Operation ASHA has been significantly successful, but eradication by the year 2025 seems to be hardly achieving at this juncture in 2017 despite international organizations making in-roads through TB Reach, the Union, Project Aksxaya, and so on. DOTS and RNCTP are government efforts. There is need to pave the way for Public Private Partnership in TB Control. The civil society organizations have to be much more serious on this front and tackle the problem like an enemy in togetherness. 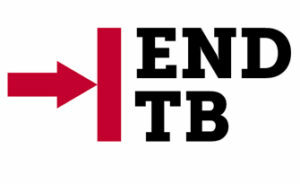 World No TB Day is celebrated on March 22 by World Health Organization but the case of No TB in India is to be achieved with TB Control & Care as cynosure for all. On healthcare parameters, it has to be tackled as India did with Polio eradication or having efforts for HIV/AIDS threat or as was doing with cholera and Malaria.